Compete for the ultimate football trophy, leading your International team or player to glory in new World Challenge DLC for PES 2014. As manager take control of your team from qualification stage with new menus. 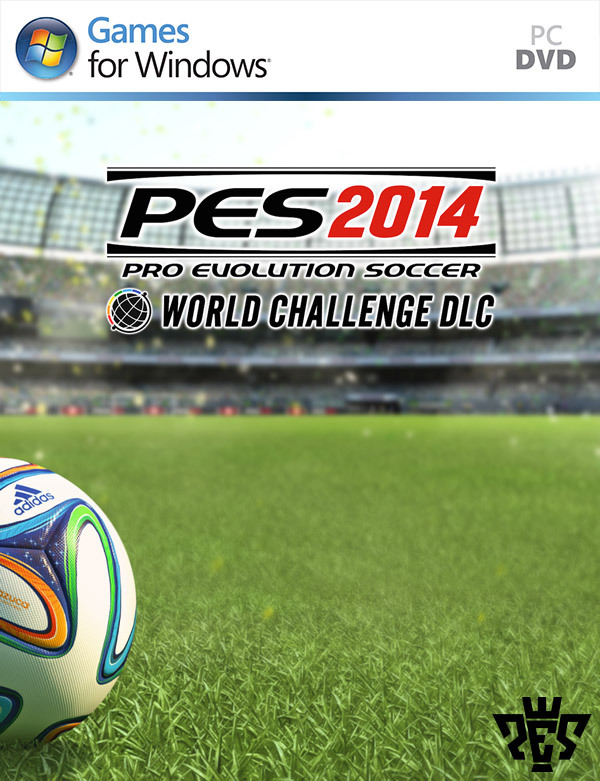 Compete for the ultimate football trophy, leading your International team or player to glory in new World Challenge DLC for PES 2014. As manager take control of your team from qualification stage with new menus. As a player fulfill your dreams and take your ‘Become A Legend’ character or current star on the ultimate career journey to global success. The World Challenge mode comes complete with official Brazil National Team adding a fresh feel to the ultimate football simulator. TRUEBALL TECH brings absolute freedom to the ball. The ball becomes the centre of the game and learning to control it is essential to success. THE HEART beats within the team motivating them through moments of fluid team play, flashes of individual brilliance and the roar of the crowd. M.A.S.S. (Motion Animation Stability System) creates true physicality for each individual player who interact realistically while jostling and leaning. Controlling the body is a vital skill. THE CORE of the game delivers amazing detail to faces, kits and the stadiums creating the theatre of match day, whether itÆs a local derby or the Final of the UEFA Champions League. Compete for the ultimate football trophy, leading your International team or player to glory in new World Challenge Expansion for PES 2014. As manager take control of your team from qualification stage with new menus. As a player fulfill your dreams and take your æBecome A LegendÆ character or current star on the ultimate career journey to global success. The World Challenge mode comes complete with official Brazil National Team adding a fresh feel to the ultimate football simulator. the additional World Challenge package.